Get your hands chalky with rock climbing, cycling or even zorbing at Camp Wild in Dhauj. 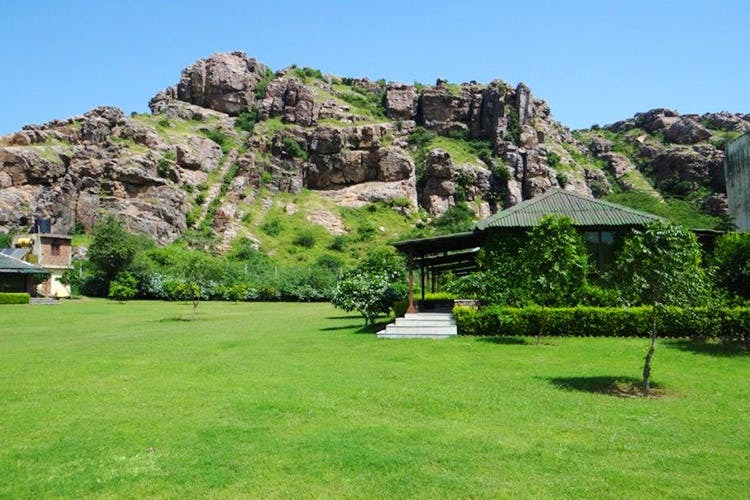 A one-of-its-kind adventure camp Camp Wild at Dhauj, near Mangar village on the border of Gurgaon & Faridabad, has seven eco-lodges and 12 safari tents spread over 12 acres of land. By wild, they mean actual wilderness at Lake Dhauj. It’s become quite a spot for event organizers, whether it is MTV Roadies or the launch of the Audi Q5, it’s drawing in all kinds. They offer camp packages which cater to schools, corporates or even small groups. We recommend you go for the one or two-day package to test the waters. Lay off the denims and tight clothes and rough it out with tracks and loose fit teeshirts; it’s a great escape from the city’s hullabaloo.